Kristen Brace is a Remedial Massage Therapist and a member of the Australian Traditional Medicine Society (ATMS). She has been practicing remedial & sports massage for the past 7 years completing her training at the Australian College of Massage. After the birth of her daughter Kristen became increasingly interested in massage and embarked on an introductory massage course which she found extremely rewarding. The natural progression was to complete the Diploma of Remedial Massage. Since then she has built up a great clientele and is excited to be part of the team at The Healthy Body Company. Kristen is very active in the triathlon & running communities she has completed many triathlons including an Ironman. 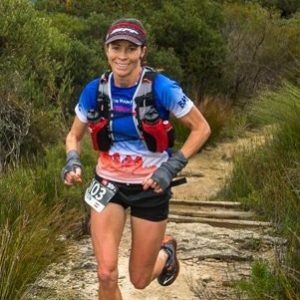 Kristen also regularly competes in running events including ultra-marathons and she also loves gym work and yoga. Kristen is working from our Jordan Springs practice. Call us to book your appointment now.